When thinking of the fastest greyhounds ever to compete under rules, followers of the sport will be familiar with the peculiar story of Australian speedster Shakey Jakey. The impressively bred dog – a product of Kiacatu Pearl and Collison – was labelled the fastest dog in the world upon his retirement, finishing with career stats of one race – one win. Many experts are doubtful of that claim to fame but the story certainly captured the attention of sports fans around the world and his race numbers are difficult to argue against. Shakey Jakey smashed a Wentworth Park track record back in 2014, hammering the chasing pack by a jaw-dropping 22 lengths. With plenty of progress to come, owner David Pringle knocked back big money to buy his animal before announcing his retirement, telling fans he would make more sending the dog to stud than running him for a second time. Knocking back a reported $1m offer from Chinese investors, Mr Pringle stuck to his guns and told press his prize now lives in the lap of luxury. 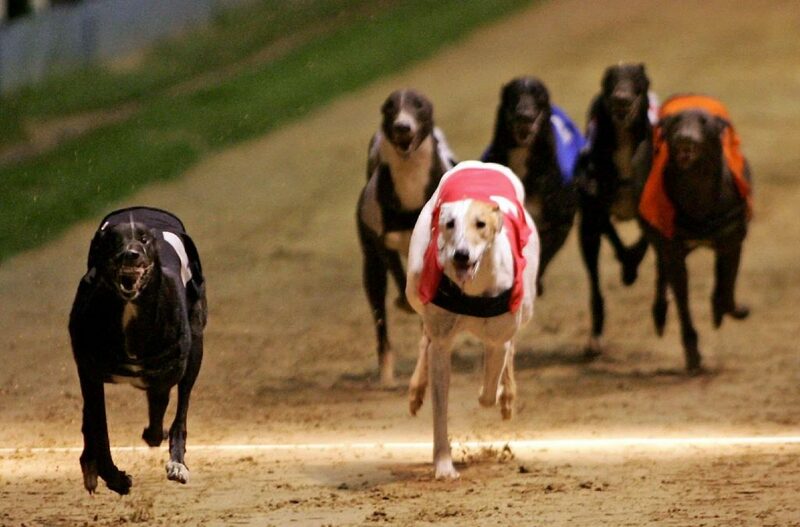 It’s all a little strange but it did get us thinking about some of our favourite greyhounds over the years who could lay claim to that ‘fastest dog in the world’ label. The clues were in the breeding for Tims Crow who came from Lenson Lad, a dog many will remember as a finalist in the Arc 1994. He inherited his sire’s electric pace and is, to this day, a real favourite of more experienced British racing fans who consider him one of the fastest to ever compete on these shores. In 2003 he won the Coral sponsored Golden Sprint at Romford, Essex for respected local trainer Peter Rich, recording a time of 24.29 despite going off with a price tag of 2/1. It was a memorable year for Tims Crow as he went onto win the Peterborough Derby, going through the tournament unbeaten, and scooped the 2003 Greyhound of the Year accolade. A year later, Tims Crow returned from a rest to pick-up The Pall Mall trophy at Oxford, again carving out an unbeaten route but he came up short when targeting his biggest prize in that calendar, finishing runner-up in the Greyhound Derby behind Droopys Scholes. He broke the track record at a host of major venues including Nottingham and Hove. 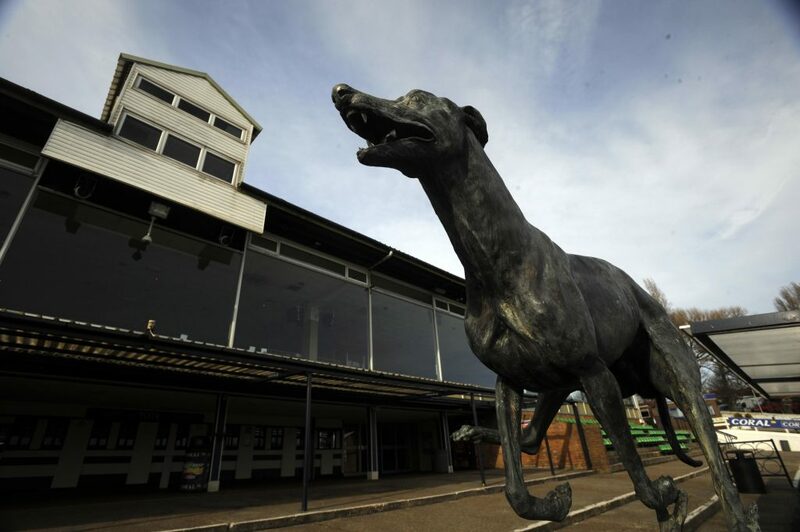 While on the subject of the Greyhound Derby, the winner of the two previous runnings before Droops Scholes was crowned champion was Westmead Hawk for master trainer Nick Savva. The Londoner is regarded as one of Britain’s most successful breeders and boasts four derby winner medals, half of those coming from Westmead Hawk. Unlike Tims Crow, Westmead Hawk preferred to keep his best for last, often serving up a late burst of pace to deny his rivals. That’s exactly how the 2005 Derby final played out, with him trailing the leaders at the business end of the contest despite starting as betting favourite. A change of gear saw him hit the front at the final turn and rocket away, winning by just shy of two lengths, recording a time of 28.56. Impressive – but it was only a taste of things to come and he was far better 12 months later when winning the same competition. Going unbeaten in the qualifying rounds, it was little surprise to see him trap for the decider as an odds-on jolly. Some backers may have been flustered to see a 4/7 shot hang back, but he turned on the burners to take control over the final two legs. A two-year unbeaten record tells us everything we need to know about the animal. Sticking with the same era and same trainer, we discover Westmead Lord who did the business for Nick Savva to complete the trainer treble in 2007. Westmead Lord was a half-brother to Westmead Hawk and the similarities were there to be seen when it mattered, although he didn’t dominate like his relation had done the year previous. He was good enough to bag a £100,000 cheque but it came as a bit of a surprise to many, with the eventual champion going off a 6/1 no-hoper in a market led by Loyal Honcho at 6/4 and Dilemmas Flight at 2/1. Lord didn’t win a race during the heats but was in complete control of the final, using the speed of his breeding to win out of trap 6, posting a time of 28.47. Interestingly, that was quicker than double-champ Hawk’s 2005 effort. Known simply as king of the sprinters, Ravage Again was a real darling of both greyhound racing enthusiasts and casual backers. He starred in Ireland during the early part of his career but a move to the UK brought him to the attention of the racing public and he will always be remembered as the dog who came agonizingly close to breaking a long-standing world record. Ballyregan Bob had an unmatched winning record of 32 consecutive races and Ravage Again was looking like the runner to topple that when putting together a hot streak. There was a difference of opinion on how many race wins should count towards his tally – bookmakers chalked off a couple in Ireland – but he fell flat at 29, the sequence ending in 1991 when beaten by Base Rate. He was then retired by his handlers. What better way to finish than with the daddy of them all – Ballyregan Bob, the world record holder. The 1983 brindle will take some forgetting, with his name set in stone with lovers of the game. Between winning at Hove in May 1985 in the Olympic heats – claiming the title a couple of races later – and scoring the Racing Post Challenge in December 1986, Bob rhymed off an incredible 32-race unbeaten record. During that purple patch, he continued to pick up winner cheques for his owners while breaking a fair share of tracks records along the way. He claimed the Olympic at Brighton, the Test at Walthamstow and Essex Vase around Romford. He also made it to the final of the St Leger but saw his progress hampered briefly when declared a non-runner, much to the disappointment of the paying public who had turned out to see a dog on his way into the history books.